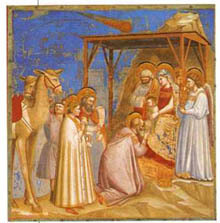 Our thesis since the first printing of the articles on The Celestial Prelude 12 years ago is based on heavenly signs leading up to the First Advent of the Lord Jesus Christ, relating to the idea that the Magi witnessed a previous pattern of signs in the heavens, allowing them to recognize the signs marking the birth of Christ, when they appeared. The Heavenly Father laid out a pattern of specific heavenly signs so that He could keep His Wise Men informed about critical events concerning His Purposes with the Promised Seed. If our approach adheres to the principles exhibited in the pathway blazed by the First Century Magi, staying faithful to these Principles of Biblical Astronomy that they learned from the Prophet Daniel, then perhaps it would not be presumptuous of others to desire similar success in discerning the heavenly signs leading up to the Second Coming of Christ, even as the Magi did at his birth. As we consider the historical context that produced the Magi, and the ancient Babylonian astronomical traditions that influenced them, we take note of the case of the Babylonian Zodiac. 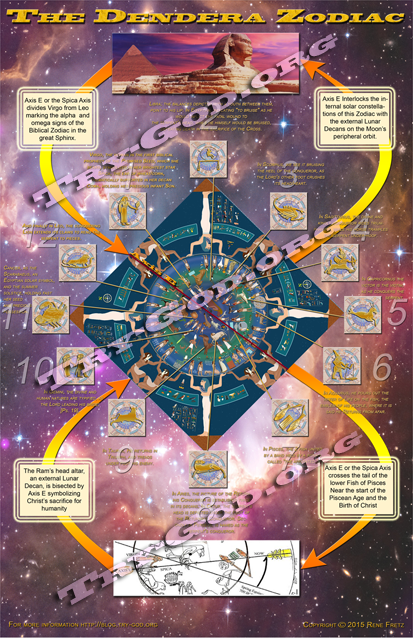 A key part of this history includes how the 12 main signs of the Babylonian zodiac, each of 30 degrees in the 360 degree circle of the ecliptic, was transmitted to ancient Greece. Many scholars are not certain, as to the process by which this occurred, thus its engaging to realize that both the ancient Greeks and Babylonians came under the rule of the Persian empire governedby Cyrus the Great in 539 BC. It was during the rule of Darius I, “the Mede” that the Prophet Daniel presided over the Royal Court of Astronomers. Drawing on the rich astronomical traditions of the Biblical Patriarchs combined with the famous astronomical expertise of the Persian Magi, Daniel’s potent influence convinced Darius’ high Court of Royal Astronomers to adopt salient principles of Biblical Astronomy. Also key aspects of Zoroastrianism agreed with the Biblical standard practiced by the Hebrews, carried on by the Magi. 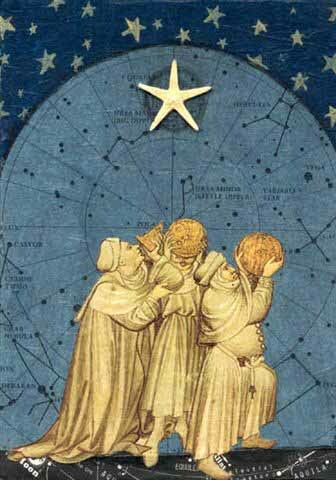 These Persian astronomers of the king’s court, generally consisted of two main categories, first those following in the astronomical tradition taught by Daniel, as their leader and Rab-Mage. Secondly, those who followed the astrological influences of “Magic” and the occult, strenuously forbidden in the Hebrew Scriptures. As a result, the Magi following the Scriptural tenets, knew of the Coming Promised Seed based on the pattern and Prelude of heavenly signs that identified the Messiah when he appeared on the scene. The Magi were also familiar with Daniel’s prophecy concerning the 70 weeks judged on Jerusalem relating to the coming Messiah, [Dan. 9:2, 24-27]. Daniel’s influence had the added effect of preserving the astronomical truths of the Promised Seed, contained in the form of the zodiacal narrative, which God entrusted in the most capable hands of the time. Jupiter was involved in a triple planetary Conjunction. Jupiter was involved in a series of planetary conjunctions. Jupiter’s retrograde motion would play a key role. Jupiter’s triple union was followed by a massing of planets. This massing of planets was followed by a Mars Conjunction. The Jupiter-Mars Conjunction was followed by a series of lunar occultations, and a total lunar eclipse. This series of conjunctions would last about two years. The annual twenty days when the Sun is in Virgo would be a key. The September 15th Heliacal Rising of Jupiter and Saturn foreshadowed the Heliacal Setting of Spica, located between the setting Sun and Moon in Virgo, identifying a 30-minute period when the birth of Christ happened. As was noted above, Lunar activity, especially Lunar Eclipses were a key element in the heavenly signs marking the birth of Christ. Not only do lunar eclipses frame all the heavenly signs of the birth of Christ between 5-1 BC, but the actual birth of Christ was framed between Sunset and Moonset on September 11th 3 BC as stated specifically in the 11th key above. The first key noted above was that the King Planet Jupiter was involved in a triple planetary conjunction, that the Magi understood as the Jupiter-Regulus triple conjunction of 3-2 BC, in Leo. The major signs marking the birth of Christ on September 11th 3 BC, are not only sealed with this triple union of Jupiter-Regulus in Leo, but also by 3 Jupiter-Venus conjunctions, with the primary one in Leo on June 17th the next year. In addition, the great majority of heavenly signs marking the birth of Christ were bracketed by 2 Jupiter-Venus unions in 3 and 1 BC. The first Jupiter-Venus Conjunction marking the birth of Christ took place on August 31st, 3 BC, in Leo with the last one occurring on August 21st, 1 BC in Virgo. Here we find an interesting variation on a Celestial Sphinx sign highlighting conjunctions of Jupiter-Venus, that took place following the 1st fulfillment the Rev. 12: 1-2 prophecy relating to the sufferings of Christ in his ministry as the Passover Lamb, to redeem Israel and all mankind. This alerts us that we might look for like Celestial Sphinx signs as a precursor to the Lord’s Second Coming. The fact that there were also 2 Venus-Mars unions framing the central Jupiter-Venus union between March 31st, and Dec. 9th, 2 BC, marking the birth of Christ, sets a precedent that we find also in 2015, before the glory of the Lord’s Second Coming. In this light, it is with great interest that we discover between the 2 Venus-Mars conjunctions of 2015, 3 Jupiter-Venus unions will occur in Leo, followed by Jupiter-Venus unions in Virgo, in both 2016 and 2017. As we view the heavenly signs marking the birth of Christ from 3 to 1 BC below, we will point out a series of parallels between these signs, and the current period marked by the Blood Moon Tetrad of 2014-2015. By focusing on the specific planetary conjunctions that set the pattern in marking the birth of Christ and looking for these signs repeating in the modern context of the Blood Moons, we follow the Magi’s example, that should lead us to the victorious Return of the Lord Jesus Christ. 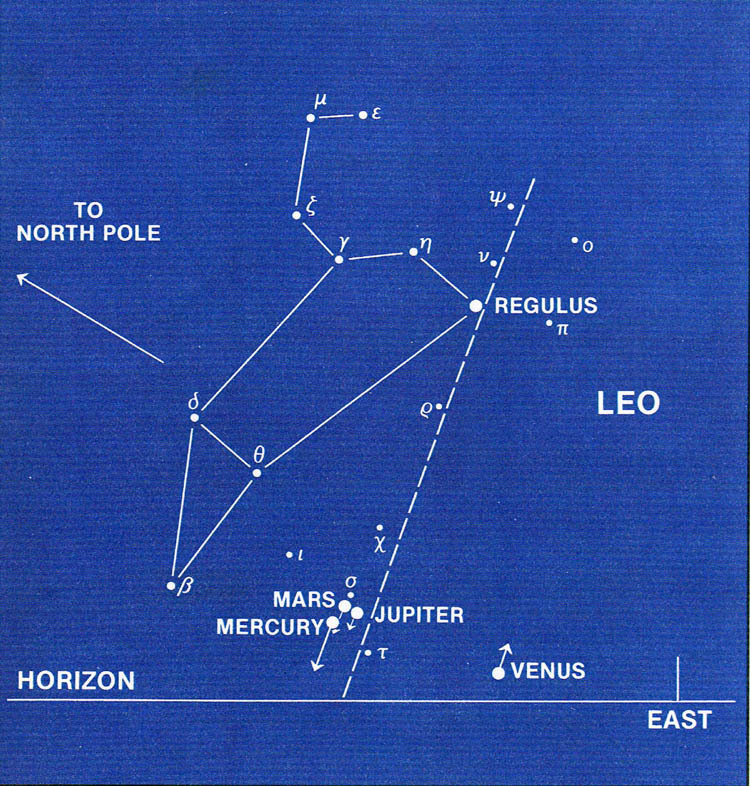 The 3 Jupiter-Venus Conjunctions marking the birth of Christ in the above chart compare to the three Jupiter-Venus Conjunctions of 2015, however there were additional heavenly signs involving Jupiter–Venus marking his birth. On August 27th and 28th reflected in the chart above and the graphic below, there was a massing of planets including Jupiter-Venus, followed by a planetary alignment of Jupiter, Venus, Mars, with the Sun and Moon. This planetary alignment in Leo, along with the September 11th signs markingthe birth of Christ [Sun clothing Virgo with the Moon at her feet] will be repeated again on September 23rd, 2017!! This Massing of Planets is mirrored on October 28th, 2015 as Mars joins Jupiter and Venus in a 1 degree triangular massing of planets. Also, just as there were two sets of Triple planetary conjunctions marking Christ’s birth, [Jupiter-Regulus/Jupiter-Venus] so, there are two sets of Triple planetary conjunctions [Jupiter-Venus/Mercury-Venus] during the two years of the Blood Moon Tetrad in 2014-2015. The following dates reflect 3 Venus-Mercury planetary unions of 2014. Here Mercury-Gabriel, the Messenger Arch-angel is unified three times with Venus-announcing Jesus Christ the Bright and Morning Star. These two brightest planets – Venus and Jupiter – teamed up to provide the closest planetary conjunction of 2014, and it was the closest Venus- Jupiter conjunction until August 27, 2016, noted above. In the eastern dawn, starting in mid-August, these two dazzlingly-brilliant planets moved closest together around August 18, 2014. The King Planet and the Bright and Morning Star were only about 1/3 degree apart. This notable Venus- Jupiter union was the only one of 2014, which took place between the first two Blood Moons of the 2014-2015 Blood Moon Tetrad. Interestingly we will see a 2nd Jupiter-Venus union of this Blood Moon Tetrad, on July 1, 2015, between the 3rd and 4th Blood Moons of our 2014-2015 Blood Moon Tetrad. The first Jupiter-Venus union associated with the Blood Moon Tetrad of 2014-2015 took place in the Beehive cluster in the Sign of Cancer, the Crab on August 18th, 2014. Since there is no Hebrew word for “crab” we know this is not the original star picture in the Hebrew Zodiac for this Zodiacal Sign. 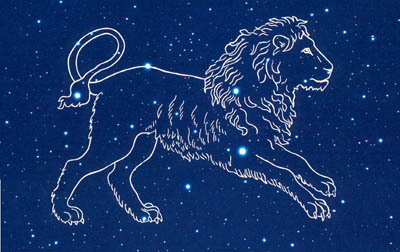 There are two prominent stars in this sign called the Northern and Southern Asses, linked to the Hebrew Tribe Issachar, as seen in Genesis 49. [Gen. 49:9-12]. 9 Judah is a lion’s whelp; From the prey, my son, you have gone up. He bows down, he lies down as a lion; And as a lion, who shall rouse him? 10 The scepter shall not depart from Judah, Nor a lawgiver from between his feet, Until Shiloh comes; And to Him shall be the obedience of the people. 11 Binding his donkey to the vine, And his donkey’s colt to the choice vine, He washed his garments in wine, And his clothes in the blood of grapes. 12 His eyes are darker than wine, And his teeth whiter than milk. The Beehive Star cluster or nebulae in the sign Cancer, also known as Praesepe, means “multitude or offspring, indicating the redeemed coming into their place of eternal rest.”5 This is an obvious indicator of the return of Christ leading his faithful to their everlasting peaceful rest in the Lord. These modern heavenly signs of the Celestial Sphinx are manifesting before our eyes in the last days leading to the victorious Second Coming of the Lord Jesus Christ, informing us in no uncertain terms that the end is near. Dr. Martin provides some fascinating details shedding light on the rewind of the heavenly signs marking the Lord’s Second Coming. 10-18-69 there was a Partial Lunar Eclipse on the Feast of Tabernacles. As this rewind of heavenly signs marking Christ Jesus’ first appearance on earth occur in the context of the current Blood Moon Tetrad, the celestial warnings of the Second Coming are undeniable to those with eyes to see and ears to hear. All these heavenly signs seem pointed towards the September 23rd, 2017 date, when we will witness the returning heavenly signs of 9/11/3BC marking the birth of Christ. These returning signs from [Rev. 12:1-2], that mark the Returning Lord, will replay in a climax of these celestial announcements as they re-appear before our eyes. We will take a closer look at the upcoming heavenly signs of September 23rd, 2017 in a post soon to follow. We are not predicting a specific date for the Lord’s return, but God would not have seeded the heavens with all these awesome signs, if He did not want us to be aware of the signs of the times. Prepare yourself and your loved ones as the end approaches quickly. Summary of the Nisan 1, Total Solar Eclipse of March 20th, 2015. The Total Solar Eclipse on the first day of Spring later this month, on the Equinox is a key day, for both the Blood Moon Tetrad of 2014-2015, and on the Hebrew Calendar. This special day marked by a Super-moon Total Solar Eclipse falls on Nisan 1, the first day of the Hebrew Ecclesiastical year. This division of the Hebrew Jubilee year is reflected in the Fall with a Partial Solar eclipse falling on New Years, the Feast of Trumpets on 9-13-2015. These two Solar eclipses divide the Hebrew Calendar in half since this fall feast marks the start of the civil year for Israel. When we consider that 2015 is a Shemmitah year for Israel, we find a major emphasis placed on the holy days of 2015 by the Hand of the Almighty, with the capping of the Blood Moon Tetrad in 2014-2015. These two Solar eclipses falling on Hebrew feast and holy days in the Jubilee year of 2015, not only represent a perfect division of the Hebrew Calendar according to Nisan 1 and the feast of Trumpets, but also in the case of the Nisan 1 Total Solar Eclipse falling on the Spring Equinox, we see an emphasis on the division of Day and Night, because the Spring and Fall equinoxes divide the length of the day and night in half equally. The Creator God established His initial division of light from darkness on the first day, by creating the celestial bodies of the Sun, Moon and Stars ruling over the temporal world of days and nights in His Creation. This set the Creator’s Temporal order over His Creation, by spinning the heavenly bodies in their orbits God established the cycles and circadian rhythms of “days and years” ruling over the four kingdoms of life on earth, witnessing also to the celestial gospel of the coming of the redeemer of mankind-Jesus Christ, who will set the fallen Creation back in order. A key focus of this Blood Moon Blog has been the heavenly signs marking the victorious return of Christ, as seen in the Blood Moon Tetrads taking place on Hebrew feast and holy days over the last 200 centuries. The graphic above depicts another important division in the Jubilee year of 2015, dividing the Blood Moon Tetrad of 2014-2015, with a Nisan 1 Total Solar Eclipse on March 2oth. A Blood Moon Tetrad has been defined as four successive Total Lunar Eclipses, falling on Hebrew feast days, without partial lunar eclipses between them. Also each Total Lunar Eclipse is divided by six lunar months on the Hebrew Calendar. When we include the Partial Solar Eclipse on the Feast of Trumpets this fall, then we have six Hebrew feast and holy days in 2015, where “the Sun is turned into darkness and the Moon into Blood,” as Joel prophesied in [Joel 2:31]. Nisan 1/March 20th of 2015 is also unique because when the Sun sets, it marks not only the start of a new day, but also the dawning of the Sabbatical and ecclesiastical year in Israel. This key day on the Hebrew Calendar is marked by sunset which opens a special Sabbath festival between the Total Solar Eclipse and the Spring Equinox on March 20th. As we may recall from a previous post on our Blood Moon Blog; The Birthdate of Jesus Christ [read more], when opening his ministry to Israel during a Jubilee year, Jesus found the place in Isaiah’s scroll [Isa. 61:2], and he declared that time as the “acceptable year of the Lord,” in a 7-fold prophecy; (Lk. 4:18-21). Then Jesus stopped short in mid-verse, closed the book telling those present, that scripture in Isaiah was fulfilled in their ears, because the next phrase of the prophecy was still future, as it is today. The gap of time symbolized in the comma separating those two phrases, representing our current Age of Grace is rapidly nearing completion. As we are actively observing the heavenly signs associated with the Blood Moon Tetrad of 2014-2015, marking the time before the great and terrible day of the Lord, we can see that the end is near. Both the Temple and the City of Jerusalem were destroyed by the Roman army led by Titus the Roman General, who later to become Caesar. He began the siege of Jerusalem in April, A.D. 70. On the Hebrew Calendar it was the 2nd of Av. Also on the 10th of August, 70 A.D– the 9th of Av — in Hebrew reckoning, the same day when the King of Babylon burned the Temple in 586 B.C., the Temple was burned again. Titus took the city and put it to the torch, burning the Temple. This is one reason why these days in the month of Av are considered the saddest days of the Hebrew Calendar. The great light of the Lord’s Second Coming will shine like none before it from the east to the west. We have seen that the Temple was also constructed on this East-West axis, and that the light of sunrise would shine into the Temple’s doors between the great brass pillars at the Temple’s entrance, known as Jachin and Boaz. When we consider the Total Solar Eclipse taking place on the Hebrew Feast day-of Nisan 1, opening the Ecclesiastical Year on the Spring Equinox, March 20th, 2015 with a partial Solar eclipse on the Feast of Trumpets, Sept. 13th, 2015 opening the civil year within a week of the Fall Equinox, we find a perfect division of the year according to these sacred days of the Hebrew Calendar, and the Almighty marking this east-west axis, as the Light of the Sun is eclipsed by the Moon on both key holy days. The truth that these heavenly signs occur during a Hebrew Jubilee Year, also opening on Nisan 1 makes it even more compelling, combined with Blood Moons on both Passover and the feast of Tabernacles, capping off the Blood Moon Tetrad in 2015. These Blood Moons of 2015 are the last ones to occur on Hebrew feast and holy days over the next 500 years. The temporal pattern of the Blood Moon Tetrads during the last 200 centuries of the Age of Grace have depicted a septenary pattern of the Feast days seen in the Hebrew Calendar, reflected also in the Hebrew Menorah; [read more]. The Biblical Astronomy of the heavenly signs leading to the Second Coming of the Lord Jesus Christ, not only follow the pattern set by the heavenly signs surrounding the birth of Christ in 3-2 BC, but they also conform to architectural structure of the Tabernacle we have already seen in the Tabernacle of Moses. The first Jupiter-Venus conjunction associated with the Blood Moon Tetrad of 2014-2015 took place in the Beehive cluster in the Sign of Cancer, the Crab on August 18th, 2014. Since there is no Hebrew word for “crab” we know this is not the original star picture for this Zodiacal Sign. There are two prominent stars in this sign called the Northern and Southern Asses linked to the Hebrew Tribe Issachar; [Gen. 49:11].1 The Beehive Star cluster or nebulae in this sign, also known as Praesepe, meaning multitude or offspring, indicates the redeemed coming into their place of eternal rest.2 There are multiple Jupiter-Venus Conjunctions set to take place in 2015, all in Leo, with additional Jupiter-Venus unions occurring in Virgo in 2016-17. The temporal progression of these planetary conjunctions perfectly matches the divine pattern of Israel’s tribal arrangement on the eastern side of the Tabernacle, clearing the way for the Triumphant Second Coming of the Lord. The brilliant and effulgent light of the Sonrise of the Ages, with the dawning of the Sun of Righteousness, will be the sunburst of the Great Day of the Lord’s Second Coming, when the Daystar arises in our hearts; [II Pet. 1:19]. Comments Off on Summary of the Nisan 1, Total Solar Eclipse of March 20th, 2015. Biblical Astronomy of the Venus-Mars Conjunctions of 2015. The Biblical Astronomy of the Venus-Mars Conjunction of February 22, 2015 is a unique heavenly sign, the first of two Venus-Mars conjunctions in 2015. The first Venus-Mars union from Feb. 21-22 in Pisces, presages the Spring Equinox on March 20th/Nisan 1, while the second Venus-Mars conjunction occurs November 3rd, 2015 in Virgo. As we stated in our previous post, the Total Solar Eclipse on Nisan 1, opens the ecclesiastical year in the Hebrew Calendar on the Spring Equinox, even as the Partial Solar Eclipse marks the opening of the civil year on Hebrew New Years, Sept. 13, 2015 and the Feast of Trumpets. Even as Jesus fulfilled the Spring Hebrew Feast and Holy days, from Passover through Pentecost in his first appearance on Earth, and his ministry to Israel, so we can expect him to fulfill the Fall feasts and holy days of the Hebrew calendar in his victorious return. We can see this in Christ’s ministry as Prophet, Priest and King because as he embodied the one-time perfect sacrifice for Israel as the Passover Lamb, so he also took on the duties of the High Priest after the Order of Melchizedek, whose eternal priesthood has permanently replaced the Aaronic Priesthood, with the sacrifices of bulls and goats. These duties were highlighted by the sufferings of Christ as he laid down his life not only for Israel, but for all mankind. The fall feasts however reflect his majestic glory and the inception of his Millennial reign on earth as King of Kings and Lord of Lords, returning to vanquish all his foes, installing his everlasting Kingdom of Righteousness. We find this conjunction of Venus-Mars on Feb. 21-22, located on the ecliptic almost at the point where the Sun will mark the Spring Equinox in the following month, on March 20th. This directs our attention to the opening of an important Jubilee year on the Hebrew Calendar, on March 20th/Nisan 1 with a Total Solar Eclipse. Having this Sabbatical year marked not only by planetary conjunctions, but also with the Blood Moon Tetrad of 2014-2015, certainly distinguishes the Biblical Astronomy this Sabbatical year above many others in the eyes of the Almighty. These two Venus -Mars conjunctions of 2015 effectively frame the crescendo of the Blood Moon Tetrad in 2015, between Feb. 21-22 and Nov. 3rd. This reminds me of some similar heavenly signs involving Venus and Mars that surrounded the Biblical Astronomy of the birth of Christ. Between the March 31st, 2 BC Venus-Mars-Saturn conjunction and the Venus-Mars union of 12-9–2 BC some key heavenly signs surrounding the birth of Christ enlightened the heavens. The following segment of my DVD presentation on the Biblical Astronomy of the Birth and Return of Jesus Christ, details some of these heavenly signs for us. 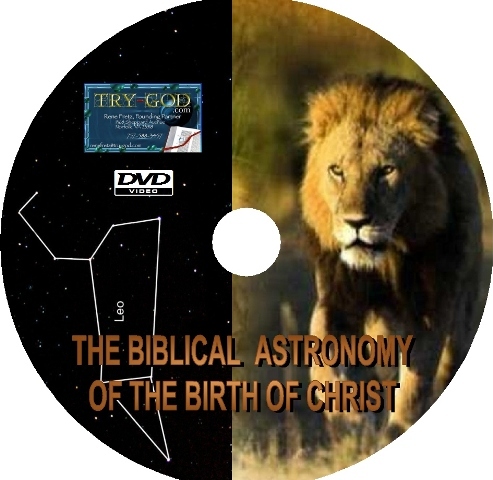 As we saw in our Biblical Astronomy DVD presentation, the June 17th, 2 BC conjunction of the King Planet Jupiter and Venus the bright and Morning Star was a key heavenly sign marking the birth of Christ. The fact that there were two Venus-Mars conjunctions bracketing this Jupiter-Venus conjunction, between March 31st, 2BC and Dec. 9th, 2BC, should alone arrest our attention. But when we add the fact that the greatest portion of heavenly signs marking the birth of Jesus Christ in 3-1BC were also bracketed by two Jupiter-Venus conjunctions, really causes us to stand up and take notice. The first Jupiter-Venus Conjunction took place on August 31st 3BC, in Leo with the last one occurring on August 21st 1BC, in Virgo. 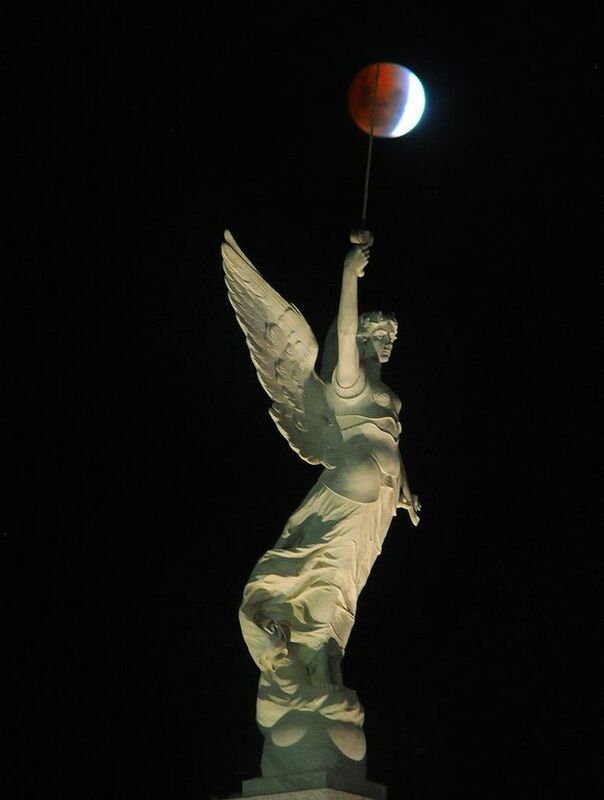 Since the Venus-Mars conjunctions of 2015 bracket the crescendo of the Blood Moon Tetrad in the Sabbatical year of 2015, we see Venus-the bright and Morning Star unified with Mars, signifying the Warrior Archangel Michael, emphasized in their battle joined against the forces of darkness. Even as the Dragon attempted to take out the promised seed of Israel, Jesus Christ at his birth, so the persecution of Israel has continued, as the series of Blood Moon Tetrads has witnessed over the last 200 centuries. Ever since the prophecy of the Promised Seed first took place in [Genesis 3:14-15] spiritual warfare has been waged [Rev. 12:7] between the forces of Light and Darkness, coming to points of crisis as seen in the dual fulfillment of [Revelation 12:1-4]. As we have already seen, the dual fulfillment of [Rev. 12:1-4] is witnessed in the sufferings of Jesus Christ, fulfilling the Spring feasts and holy days as the embodiment of the Passover Lamb in his ministry to Israel. The glory of the Lord is seen in his fulfilling of the Fall feasts and holy days in his victorious return as King of Kings and Lord of Lords. The events playing out in today’s Middle East region surrounding Israel’s current war, is setting the stage for the end of days– the final events of human history leading up to the glorious return of the Lord Jesus Christ. As the 2015 Blood Moon Tetrad concludes later this year, a key aspect of Joel’s Prophecy [Acts 2:20] will have been fulfilled before our eyes. It was not a coincidence the Apostle Peter quoted the words of Joel in the preamble of his Pentecost sermon; [Acts 2:17-20] opening the Age of Grace. This period of God’s awesome blessing which brought us the availability of the spiritual new birth, was kept secret by God since the World began, [Rom. 16:25-27, Eph. 3:2-7]. Now we stand at the precipice of the fulfillment of this wonderful Age, the end of which Peter prophesied at its inception, whose conclusion will witness the ultimate victory over the forces of darkness told in the heavens by these specific celestial signs. The series of partial/total solar eclipses on the Lord’s Feasts and holy days, along with the series of Blood Moon Tetrads leading to the concluding Blood Moons we are about to witness, including the first Blood Moon this year coming on April 4th in the Spring of this Jubilee year of 2015, initiates the completion of the set of preliminary heavenly signs that Joel prophesied would take place. Since there are no more Blood Moon Lunar or Solar eclipses scheduled to fall on Hebrew Feast days for the next 500 years, there has never been a time in human history where all the prophetic requirements leading to the End of Days has been in place like they are now. Joel told us these signs would occur “before the great and notable day of the Lord,” referring to the long-awaited return of the Lord Jesus Christ. Recognition of the specifics of how the second fulfilling of [Rev. 12:1-4] comes to pass, along with the key planetary conjunctions and other heavenly signs, involved in the completion of this scenario, will tell the tale of the Biblical Astronomy of the End of Days, as we countdown to 2017. Entering the traditional holiday season and the historical celebration of the birth of our Lord Jesus Christ, always raises the question of when the actual birth of Christ took place. Most people realize that the date of Jesus Christ’s birth was not on December 25th, despite the nativity scenes or the historical “Christmas” holiday. In order to distinguish the truth about the actual birth of Jesus from what tradition has held for centuries, we must take a hard and detailed look at what the Bible says about the birth of Christ first and foremost. The Biblical witness to the birth of Christ, along with what history and astronomy tell us about not only the year, but also the day of Christ’s birth, is detailed here. The birth of Christ as the anointed Savior of the world was a highly anticipated and longed for event, being prophesied not only in the Bible and Biblical cultures, but also non-Christian or Judaic religions. Many world cultures have a rich tradition of the coming of a foretold Savior of the world. Thus the significance of the birth of Jesus Christ has worldwide implications, but we must start with the Biblical record to get a clear understanding of what the Bible says about the birth of Jesus. As we begin our study of the Biblical record of the birth of Jesus Christ in the gospel of Matthew, we notice key astronomical events leading the Magi to Jerusalem in search of the new born King of Kings. It is therefore critical to recognize what the Bible says about Astronomy, along with the heavenly signs that took place from 3 to 1 BC. As we view the Biblical and historical record we will find awesome detail in how the celestial epistles support, compliment and establish the witness of God’s Word. Some astronomers and theologians have tried to link the 12 BC sighting of Halley’s Comet with the birth of Jesus Christ, as seen in the graphic below, but this is much too early to accurately tie into the biblical record of Christ’s Birthday. Comets also have been seen as a sign of evil and foreboding, not marking the coming of a great king. All the kingdoms of Creation truly stand in Praise and Honor to the witness of the Creator, Who founded the heavens, and set their combined beauty in motion, marking the birth of Jesus Christ the King of Kings. In earlier posts on this Blood Moon blog, we have seen how the heavenly signs of the Celestial Prelude set the pattern for the birth of Jesus Christ, as recognized by the Magi. As we have noted, the Magi would have perceived the tantalizing detail of heavenly signs from 7 BC to 5 BC, and we can imagine their excitement as they witnessed the heavens come alive with the prophesied signs of the Messiah’s birth. We have also come to realize the significance of the sacred feasts of the Hebrew calendar, marked by the Blood Moon Tetrads of the Age of Grace and the importance of Tishri 1, Rosh Hashannah linked to the first sighting of the New Moon at the feet of Virgo, on the equivalent of our September, 11th 3 BC. This highlighted Hebrew New Years Day in the most sacred seventh month in the Hebrew calendar, marking the birth of Christ. Matt. 2:1-2, 9-10 Mat 2:1 Now when Jesus was born in Bethlehem of Judea in the days of Herod the king, behold, there came wise men from the east to Jerusalem,  Saying, Where is he that is born King of the Jews? For we have seen his star in the east, and are come to worship him. Mat 2:9 and are come to worship him When they had heard the king, they departed; and, lo, the star, which they saw in the east, went before them, till it came and stood over where the young child was. When they saw the star, they rejoiced with exceeding great joy. 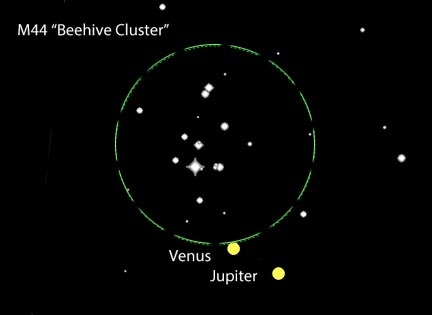 When the Magi first noticed Jupiter, his star in the rising, in August of 3 BC, it began a corroboration of the celestial prelude of 7-5 BC, and it set the wheels in motion bringing them to their historic destination, to discover the promised seed of Israel in Bethlehem, in December of 2 BC. In Matthew 2:2 the Magi asked the first question recorded in the Gospels when they said; Where is he that is born King of the Jews? As the only ones aware of the true nature of the heavenly signs of Jesus’ birth, these Gentile Magi set the stage for all the world to salute the King of Kings. The Greek words in Matt. 2:2, “in the east“ are en te anatole, literally meaning “in the rising, referring to the Heliacal Rising of a star in the dawn before sunrise.” 1 The “east“ is a Biblical figure of speech called an idiom representing truth, which is appropriate since the Messiah’s birth would bring the long awaited “all truth” [Jn. 16:13] of the ages. An interesting aspect of this word “anatole” is that it’s Hebrew equivalent is translated “tsemach.” This is a direct correlation to the star Al Zimach (the branch) in Virgo, known to us as Spica. This is the stellar representation of Jesus Christ as the promised seed of the woman Virgo, in a constellation representing Israel. Thus, the sunlight of the dawn and the light of “his star”–Jupiter are both seen prophesying the birth of “the branch” Jesus Christ. This witness of the Scripture not only alerts us to the roles of both Jupiter and the Sun in the stellar revelation of the birth of Jesus Christ the Promised seed, but it also reflects the year-month affinity between the cycles of the Sun and Jupiter. As the Sun spends a month in each of the 12 signs of the zodiac, so Jupiter spends a year enlightening each zodiacal sign. The accuracy of God’s Word here is truly breathtaking, when we consider that the same word for both the sunlight of dawn, and the pre-dawn light of Jupiter are translated as “the branch” in the Hebrew. This prophecy of Jupiter and the Sun, also witnesses to the 4 dimensions of Christ’s ministry as the branch; the King, Son of Man, Son of God and Servant, as seen in the four gospels; Matthew, Luke, John and Mark. When Jesus Christ matured to full manhood according to Hebrew Law, at age 30, he displayed the full awareness of his place in history, and his local circumstances, by announcing the opening of his ministry during a Jubilee year. To grasp the significance of the the birth date of Jesus Christ in Biblical Astronomy terms, we need to take a closer look at the Creation record, when God first set the heavenly orbs into motion. 14 And God Said Let there be lights in the firmament of the heaven, to divide the day from the night: and let them be for signs, and for seasons, and for days, and for years: 15 And let them be for lights in the firmament of the heaven to give light upon the earth: and it was so. 16 And God made two great lights; the greater light to rule the day, and the lesser light to rule the night: He made the stars also. 17 And God set them in the firmament of the heaven to give light upon the earth. 18 And to rule over the day and over the night, and to divide the light from the darkness, and God saw that it was good. They were also important markers for someone significant to come, in this case the Redeemer of Mankind-Jesus Christ, in both his birth and Second Coming. [Jupiter’s Triple coronation of Regulus video and graphic] As such, and within the context of the dual application of the prophecy in Rev. 12:1-2, and the Blood Moon Tetrad of 2014-2015, with the other heavenly signs and celestial cycles involving the Sun, Moon and Stars, point out a general and even more detailed timing of the Second Coming of Christ, just as they did with his birth and first appearance. This reference from Genesis reveals the links between the cycles of the Sun and Moon, and the light which these two great lights shed upon the earth. The purpose of the Sun, like other stars, is to give light upon the earth, the nature of which is a three-fold light. First, it’s physical light in a literal sense because the stars along with the moon and planets illuminate the earth. Secondly, as we have seen in the study of astronomical cycles, their numerical model is based on the phi ratio, and the base 60 Space-Time standard of the precession of the equinoxes. This is an important aspect of Natural Law, reflected in the symmetry of creation. Phi ratio Symmetry is the basis of the nano-structure of microcosmic matter, the macrocosm of the firmament, and the conceptual world of mathematics. Symmetry is latent in God’s created temporal order, ruled by the regular cycles of the Sun, Moon and Stars, daily and yearly. Thirdly, the stars, planets, Sun and Moon illuminate earth in spiritual light: the eternal light of the witness of God’s Word, a primary theme of our study. The principles of these 2 great lights ruling over the day and night, marking out days, months and years, is also preserved in the luni-solar calendar of Israel, unified according to the phi ratio, in symphony with the 50-year cycle of the Hebrew Jubilee. The phi ratio, also known as the divine proportion, or golden ratio, is a central aspect of the Symmetry and beauty in God’s creation. 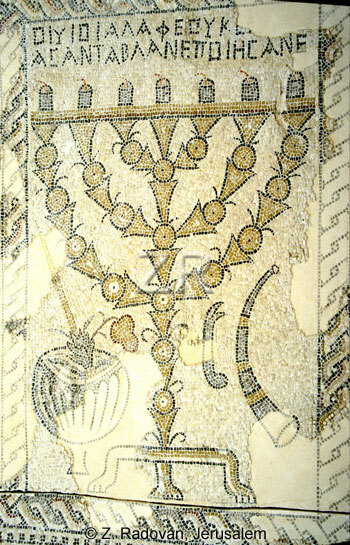 We find this depicted in the word “Seasons” in Gen. 1:14 [H4150-moed] meaning an appointed or fixed time, signal, an assembly convened for a specific purpose, a solemn feast or festival, place of meeting, or year.2 Thus, as these 2 great lights of the Sun and Moon coordinate with the stars exhibiting special signs on the holy feast days and sacred festivals of the Hebrew calendar, we find the unification of these three celestial calendars in God’s created temporal order exerting a powerful influence as a “mandate from heaven,” over Israel and the cultures of the world. A great example of this is the current Blood Moon mania in the headlines of world media, raising the awareness of end times prophecy and the history of Israel in the collective public mind. Thus the inception of Jesus’ reign as King of Kings is marked on his birthday of Tishri 1, the “Day of Trumpets,” with heavenly signs in Virgo near Spica, so we see similar signs with Blood Moon Lunar and Solar eclipses occurring on Hebrew feasts marked by a series Blood Moon Tetrads. The significance of the king’s coronation tied to Rosh Hashanah, New Years Day and the head of Israel’s calendar, is that Christ is the King of Kings presiding over all temporal, civil and sacred matters as the King-High Priest of Israel. This represents the first installment on our Blood Moon Blog post, on The Birthdate of Jesus Christ, with Part 2 coming later this month. Merry Christmas and Happy Holidays Folks! !